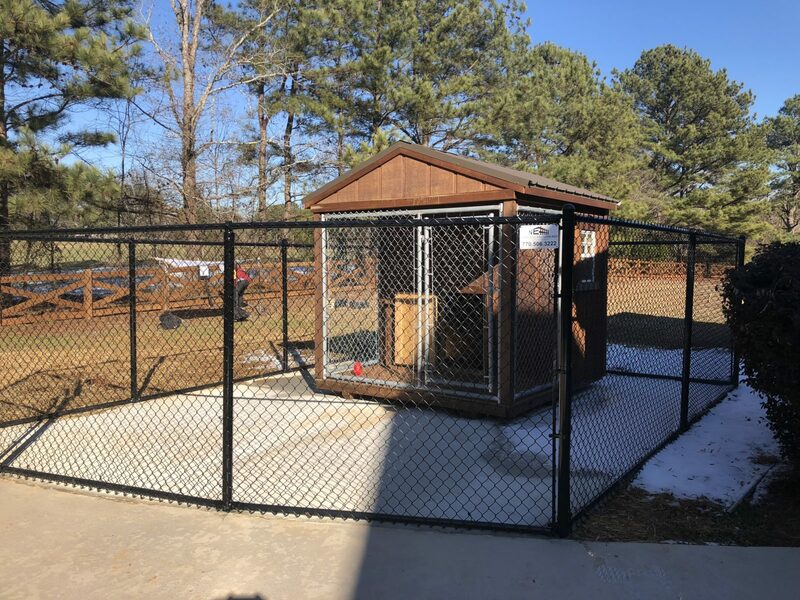 At Natural Enclosures Fence Company we provide custom dumpster enclosures to companies across Georgia. Our team is dedicated to offering the highest quality materials and services to your business and ensures your complete satisfaction when choosing us for your project. When you own a business, you will need a secure place to dispose of your trash. A custom dumpster enclosure can ensure that you keep that area sanitary, hidden away from your clients & prevent the public from disposing refuse in your dumpster enclosure illegally. We can help you to create a more visually appealing place to enclose your waste and recycling areas. Our dumpster enclosures can be customized to match your building’s exterior, or your new or existing fence. No one wants to see dumpsters, waste and garbage cans. Businesses and companies will always need to have a place to dispose of their refuse. There is a better way do this with a practical, functional, and sometimes even beautiful dumpster enclosure creation from Natural Enclosures Fence Company. We specialize in both commercial and residential fence installation, and provide a variety of other services to complete your outdoor projects. Our team is dedicated to customer service and ensuring that you have the best experience when working with us. When you are in need of a custom dumpster or garbage enclosure, contact us today at 770.506.3222!